Every year Christmas prepping seems to be earlier and earlier which I'm definitely not opposed to as I love the lead up to christmas and as a blogger, I'm even more aware of it with new christmas gifts being released, christmas themed press releases and lovely Christmas blogger mail which I'm extremely grateful for. This time of the year also leads to one of the least glamourous and unknown but important sides of blogging, recycling. I am very lucky to work with the amazing brands and PRs that I do but it does mean that I'm constantly filled up the two recycling bins we have and the car with boxes of recycling - no more so of the past couple of weeks; however that means that I have lots of hopefully useful and inspiring gift guides coming your way with a couple already on my blog, including today big beauty gift guide. 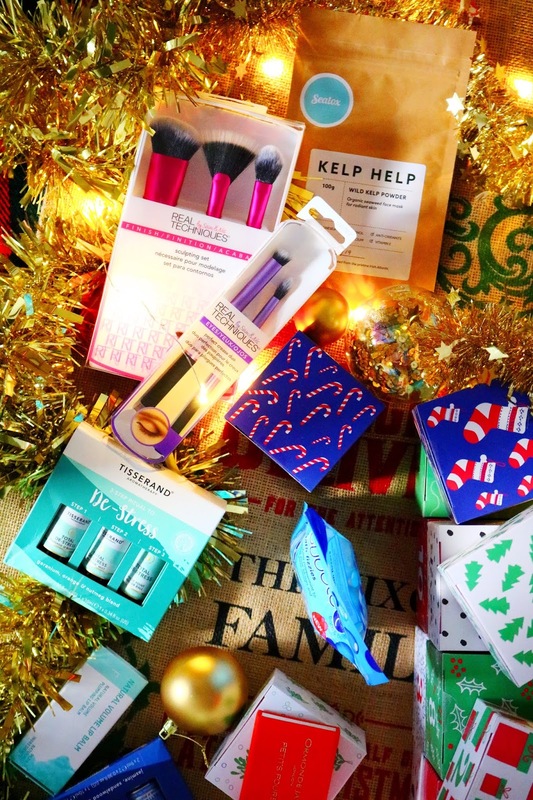 Thanks so much to all of the brands included in my gift guide, now let's grab a cup of tea, coffee or if you're feeling festive, hot cocoa and look through some of my christmas beauty gift picks! Let's start with one of my favourite christmas traditions, advent calendars. I loved opening my chocolate advent calendar each day on the lead up to christmas growing up but now there's something even better, beauty advent calendars. I've bought a few over the past couple of years and loved them all but I've never seen a bath bomb advent calendar before so I was very excited (ok, I squealed a little), when this one arrived in a lovely mystery parcel from the incredibly lovely people over at Bomb Cosmetics. 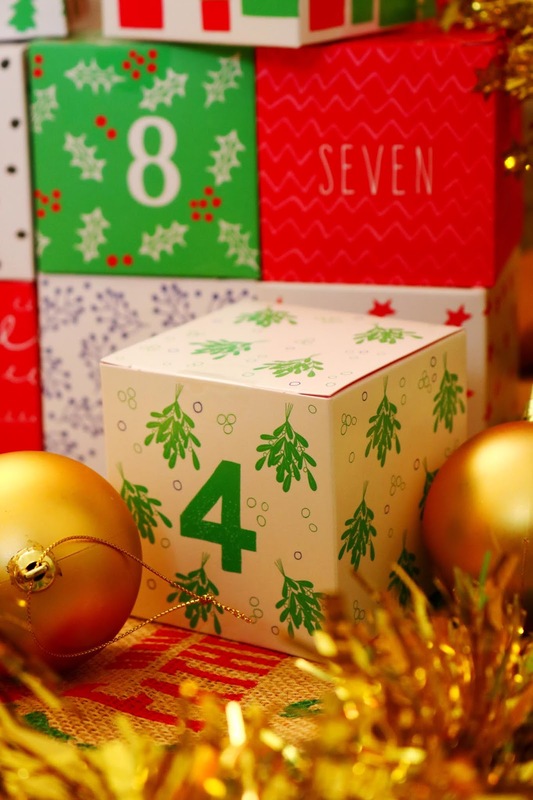 The advent calendar contains, can you guess, twelve full six bath bombs from Bomb Cosmetics, all of which are adorably christmas themed such as the 'snow good' bath blaster, 'all that glitters' bath blaster and the 'under the mistletoe' bath blaster. All of the bath bombs are a very good size at around 160g each so you are getting quite a lot for your money as well as a cutely packaged gift that can be enjoyed for days! I have tried a couple of the bath bombs in this set before such as the 'fairy lights' bath blaster which has a lovely fruity but spicy scent that is perfect for this time of the year. A lot of the bath bombs within the advent calendar have gorgeous christmas and wintry scents, some of which I am extremely excited to try out. As always, Bomb Cosmetics products are gorgeously designed and the Christmas range is no different! This advent calendar would make an ideal gift for friends and family this christmas as it can be one of the most stressful and busiest times of the time so it is important to take time out for yourself and have a well deserved pamper. I think this advent calendar would make a great christmas dinner gift as everyone could open there's at the table - I know that my friends would love that. You'll be seeing more of Bomb Cosmetics on my blog soon and check out my instagram (@ofbeautyand) for blogger mail unboxings and bath bomb demos. Now onto a few stocking fillers that would be great for family and friends who like pampering and beauty products, or even if they don't and you think they need a little push to look after themselves or indulge. Freshly is increasingly becoming one of my favourite body care brands as I've been lucky enough to try quite a few of their products straight from the factory. I'm currently using their detox nourishing shower gel and it feels very luxe but with a more reasonable price tag! The hair mask is no different as all of their products are packed full of fantastic and nourishing ingredients such as avocado oil, almond oil, chia seed oil, rosehip and more. I think that a nourishing and effective hair mask would make a lovely stocking filler this christmas or as part of a bigger Christmas pamper hamper! A cheap but cheerful bath product next and it's from a brand new range from Bubble T. I've tried a couple of Bubble T bath bombs already as they've been included in a couple of subscription boxes and I've been impressed by how energetic, colourful and enjoyable they have been so I'm glad I have another product to try out. The set contains six 20g bath bomb minis which is great is you only want a quick soak and don't want to use a huge bath bomb which might be a little wasteful. The collection is in collaboration with the brand Mentos (yes, the mints) which is a little unusual but I love the fresh and minty scent so I think they'd make vibrant and refreshing morning bath bombs! Stocking fillers are some of my favourite gifts to open, well who doesn't love opening gifts, as they seem extra special! 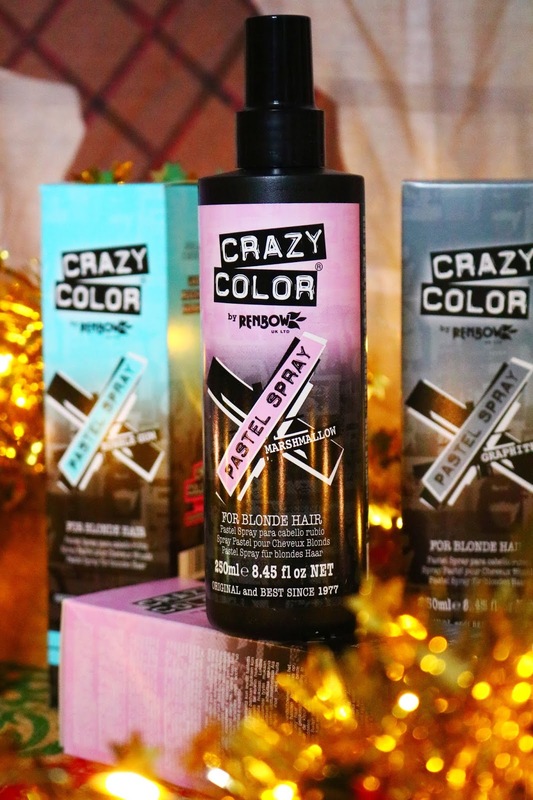 These next stocking filler gift ideas are perfect for friends and family who like to experiment with their hair, although not permanently, as they are the fantastic new Crazy Colour pastel temporary hair colour sprays which have just been released. If I had my bleached ends then I'd definitely give these a go but sadly I don't (however these sprays are now making me want to bleach my hair again...). 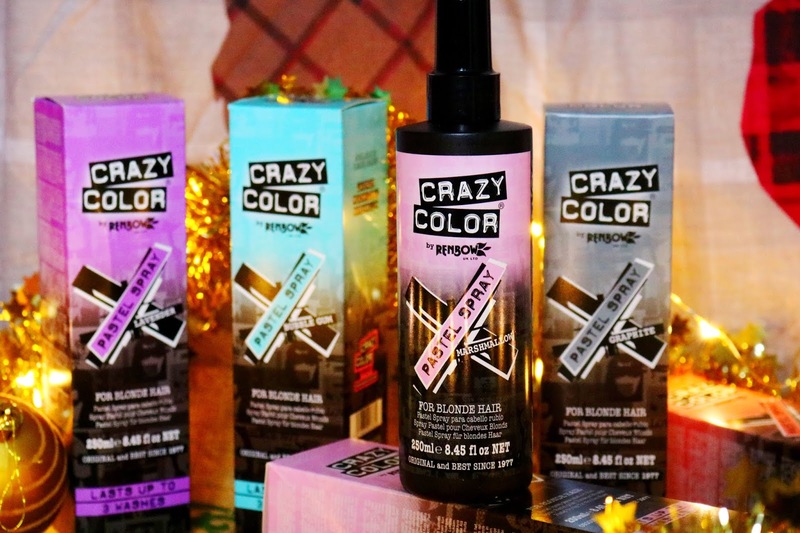 I love the design of all of the Crazy Colour products, they make me wish that I'd known about them during my teens as I would have tried all of the shades! The new pastel sprays last up the three washes and they are specifically designed for lighter or blonde hair. I have all of the shades in the range which including lavender, bubblegum, peach coral, pink marshmallow and lastly the one I'm intrigued by the most, graphite which is an unusual grey shade. The sprays are very quick and easy to use and I think they'd make great fun stocking fillers this year and the timing would be perfect for planning your New Years eve look (we sometimes have fancy dress New Years eve parties so these wash out sprays would be ideal). Another great stocking filler idea from Freshly are these very nicely packaged and presented lip balms. Lip balms are useful for everyone so I think they are a safe beauty gift to give and unlike most of them, these offerings are packaged very nicely so aesthetically they'd be great stocking fillers. There are three to choose from including the deep nourishing, natural volume and pink protection variations. I think all there are fantastic, great sizes and ideal to carry in your handbag, car, gym bag or keep at your desk but my favourite of the three has to be the pink protection lip balm and not just because it's pink...although that's one of the reasons. I love the warm pink tint it adds to the lips as well as the instant smoothness and comfort - I will get so much use out of it during the upcoming colder months. The lip balms and other products on the site are currently on sale so go, go, go. 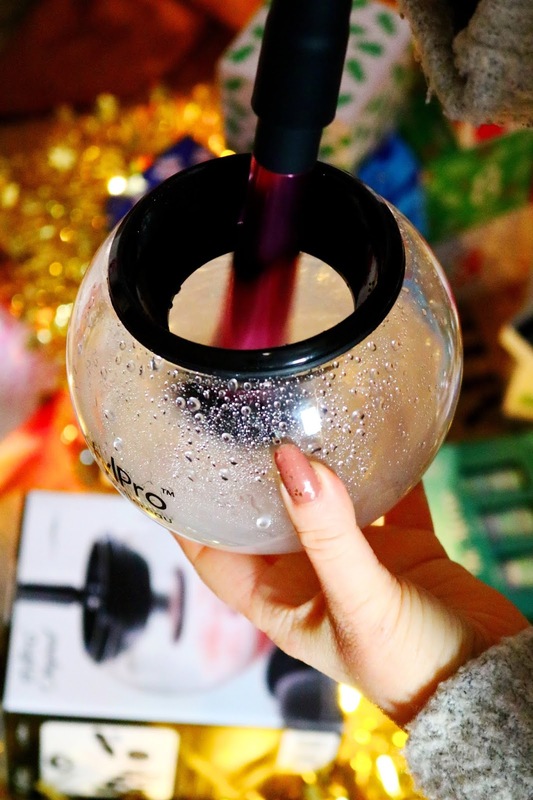 Next up is a product which is on the more unusual side so if you know a beauty lover who has everything then this might be the stocking filler for them! 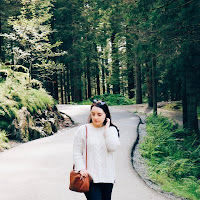 Seatox is a vegan and cruelty free as well as an all natural brand based on the rural west coast of Ireland where the seaweed is sustainably sourced. 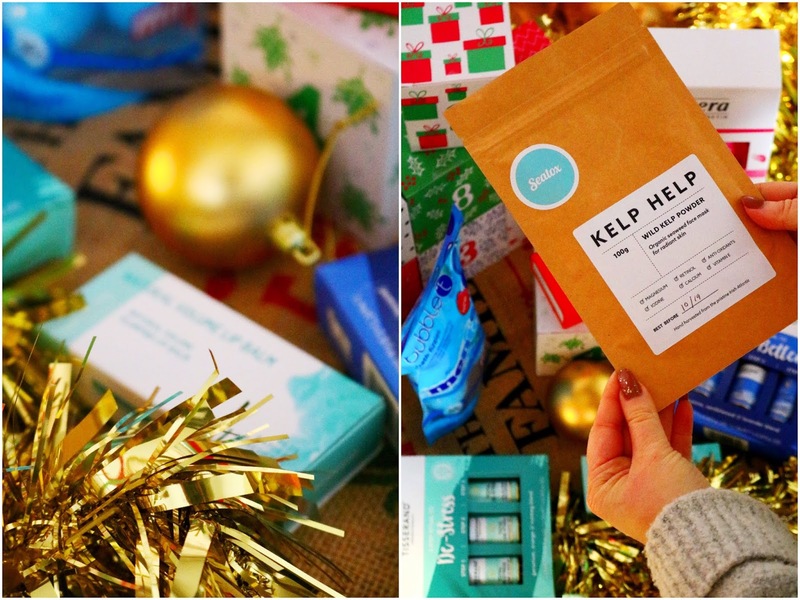 I've featuring two of their products within todays gift guide, both of which sound fantastic and quite unusual (however, I've completely forgotten to photograph the Selkie Smooth bath soak, oops, although you'll see it on my Instagram very soon). The kelp face mask powder is exactly what it says on the packet. It's an organic wild kelp powder that when mixed with coconut oil (or other oils) can be made into a natural and effective face mask. Although this product isn't suitable for those with iodine allergies or thyroid conditions. You'll see both of these lovely products on my instagram and instagram stories very soon so stay tuned. Beauty tools and brushes would make great, practical and safer beauty gifts compared to makeup and you cannot go wrong with Real Techniques. Since the Real Techniques brushes were first released years ago, I have been using them and loving them. I cannot think of another brush brand that is so recognisable and as effective for the price. I prefer all of my Real Techniques brushes to the more expensive offerings from MAC etc! Real Techniques have a variety of collections to check out but one of my favourites is their newer range of cosmic and space inspired products, including this cute sponge duo. 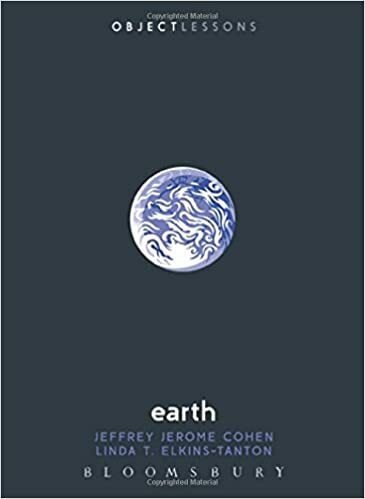 This range is limited edition so if you are thinking of picking something up for yourself or someone else then I'd do so sooner rather than later. I have gone through a few of the miracle sponges and I cannot recommend them enough if you have dry skin as I do but these are even cuter. A little higher in price is a fantastic sculpting brush set from Real Techniques which includes a three of my all time favourite RT brushes. The sculpting brush is one I actually use for foundation as it's a great shape to get into the corners and contours of the face, the fan brush is perfect for highlighting and the setting brush is great for, well, setting your makeup. It's a great addition to a beauty lovers brush collection or it would be an ideal starter brush set for teens too. This particular set comes with it's own brush cup to keep all of your brushes organised! For basic eyeshadow and concealer brushes, it doesn't get any better or simpler than this no-fuss duo from Real Techniques. The 'crease prep' brush is what I use to apply and blend my concealer and to apply a base colour to the lid. The 'defining crease' brush is the perfect shape for adding a little definition to the crease of the eye and for blended seamlessly. If you're looking to gift a brush set this christmas then look no further than Real Techniques. 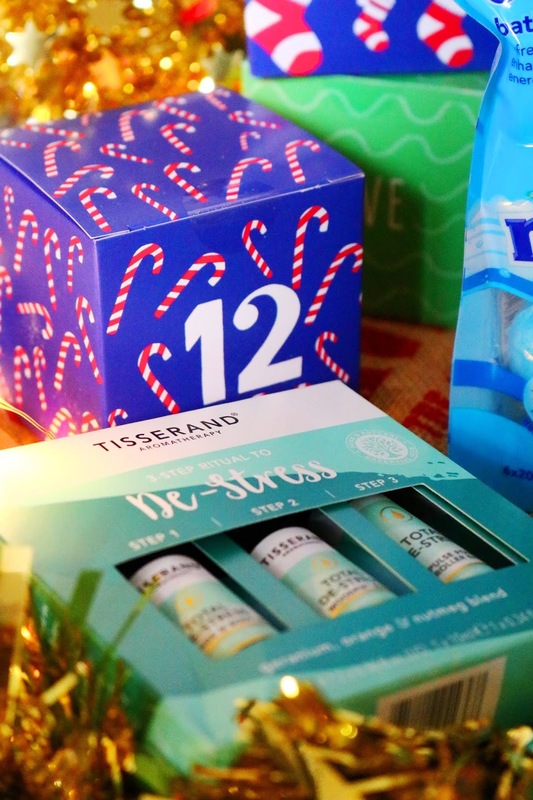 Pampering products are, to me, some of the most useful and thoughtful gifts you can give and these next gift sets from Tisserand step it up again. The new wellbeing collection features a range of gorgeously designed gift sets that contain an easy to follow three step routine that yourself or your gift recipient can follow to help energise, de-stress, motivate, relax or help you drift of to the land of nod a little easier. 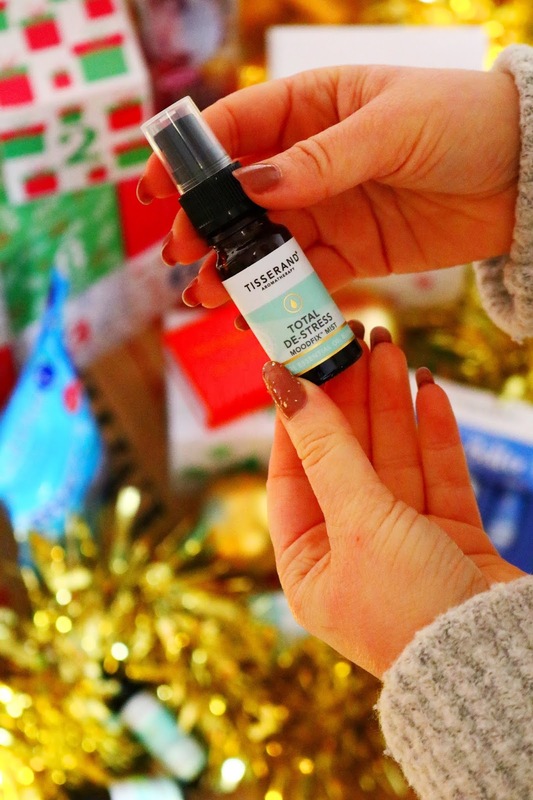 I've worked with Tisserand on my previous gift guides over the years and I'm always so impressed by the quality of their products, how well designed they are and also how simply effective they can be, particularly the sleep range. The sleep set I'm featuring includes the body oil, pillow mist and pulse point rollerball, all of which I love and smell just as wonderful as you think they will. The pillow mist is especially fantastic and it genuinely helps me relax and fall asleep, which can be a struggle at the best of times so if you know someone who has the same issues then this set might be the thoughtful gift they need. Along with the sleep set, they have a variety of others to suit you or your gift recipient but the two I was most interesting in were the sleep and de-stress sets, both of which look gorgeous. The de-stress set comes with minis of the massage and body oil, moodfix mist and the pulse point rollerball. While the sleep range consists of sleepy notes of lavender, jasmine and sandalwood, the de-stress range contains the soothing scents of geranium, orange and nutmeg, which is a great combination for this time of the year. My favourite product of the three has to be the lovely moodfix mist and the pillow mist from the sleep set, although both of them would make beautifully boxed gifts for loved ones in need of some TLC this christmas. For some gifts, knowing your gift recipients preferences doesn't matter so much but with some gift sets, they need to be a fan of the scent or products; however, there's one set that defies the rules. 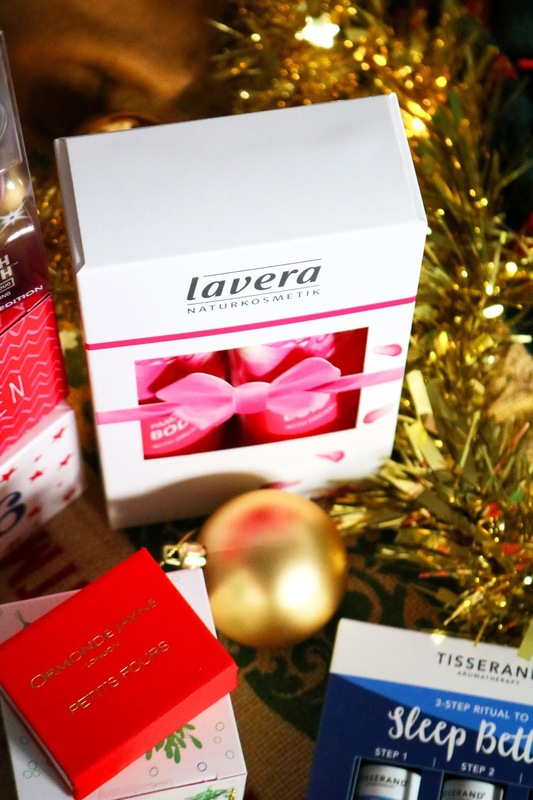 The Lavera rose gift set contains the pampering body wash and the pampering body lotion, both of which contain organic wild rose so they smell absolutely heavenly. 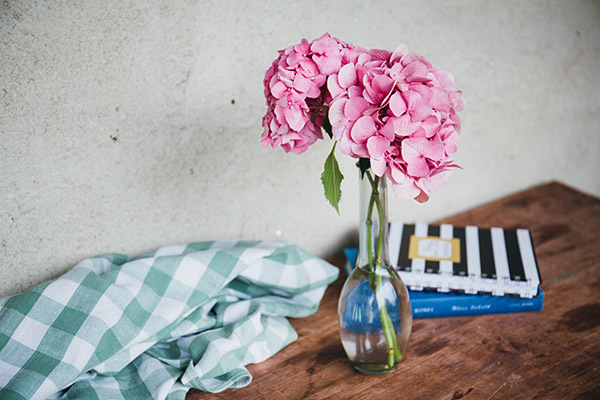 I love floral scents generally but rose scented products seem to be a little hit or miss with me as some can be fresh but others can be old-fashioned. Thankfully I love these products! Lavera is a great brand to choose as it's an award winning, natural and certified organic brand which doesn't test it's products on animals, which is always great to hear. 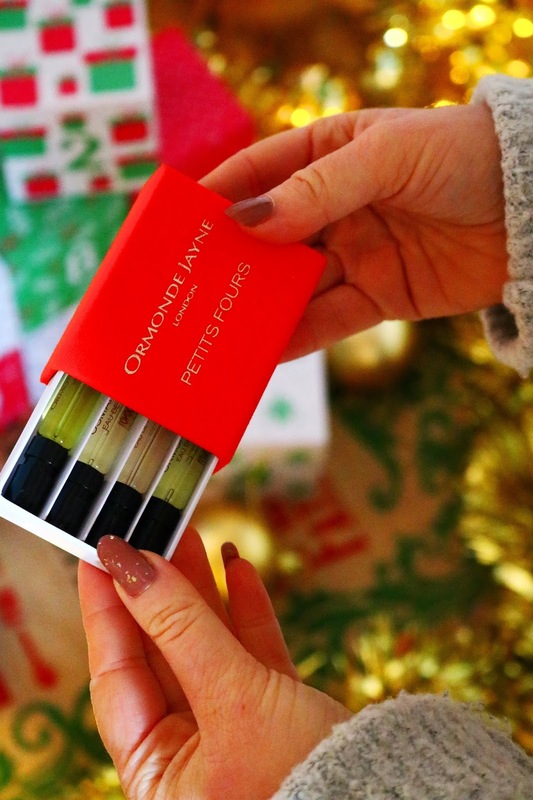 Let's move onto a more luxe and personable gift from the indulgent and high end fragrance brand, Ormonde Jayne. Ormonde Jayne is a London based fragrance brand combining English quality with the French artistry of perfume to create a decadent fragrance range with equally as beautiful packaging, so naturally everything would make for an amazing and very special gift. However, there are a few items that are more affordable such as the 'petits fours' which means little oven in French (as far as I'm aware) but instead of delicate French patisserie, inside the box are four samples of their fragrances. I described this gift as personable and that's not just because to me all of the fragrances feels rich and tangible but also because you can choose all of the samples that make up your 'petits fours' to tailor it to your recipients preferences. The Osmanthus fragrance is my favourite of the four but all of them sound wonderfully divine. Ormonde Jayne products can be bought online or at Selfridges Trafford Centre. 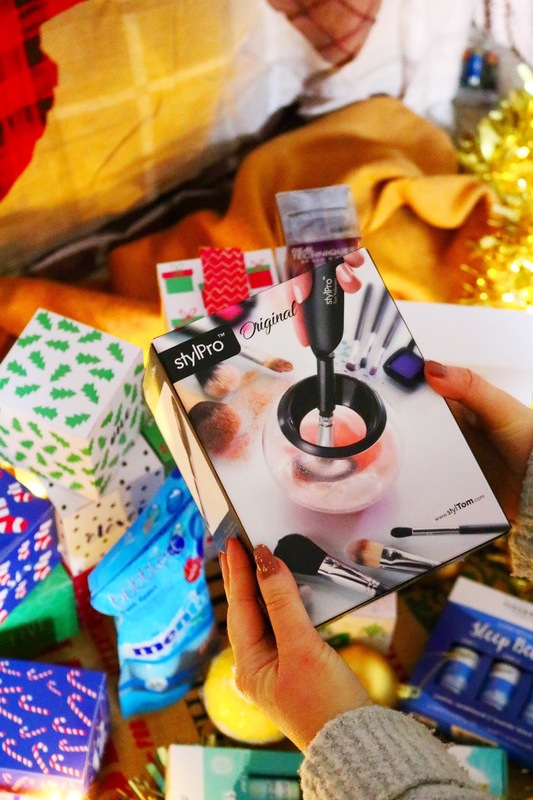 I wanted to include a wide variety of gifts within the gift guide so there's something interesting and intriguing for everyone but I think this will will appeal to almost every beauty lover out there because it helps out with a very tedious task, brush cleaning. I'm going to admit something I shouldn't...sometimes it takes me months to get round to cleaning my brushes and on one occasion, I just threw away a couple of brushes that were caked in halloween makeup rather than cleaning them. Oops. Brush cleaning is the bane of the beauty lovers life as it's so tedious, it actually takes quite a lot longer than you'd think and it can be very messy but thankfully help is at hand thanks to StylPro. It is a brush cleaning tool which comes with various sizes of brush holders, the bowl, brush cleaner and the rotating handle - it seems a little gimmicky if I'm honest but it's surprisingly effective. I have a few clips of this tool in action in the rather long video below but here are the basics. First you ashamedly dig out all of your dirty and old brushes (mine are usually stuffed into a tote bag) after neglecting them for months; then you just find the right sized silicone brush holder for your brush which is the only slightly annoying or tedious part of the process and then you are ready. The holder slots into the rotating handle and away you go! It's quite fun, if I'm honest but I'm sure the novelty will wear of a little after the 67th brush. I did have some reservations about this product but I'm very happy with it as it makes brush cleaning a little more fun, less tedious and it throughly cleans my brushes in record time although as I've said, the only thing I don't find very fun is searching for a holder that will fit my brushes. I think this would make a great, practical gift for the makeup lovers in your life and it's something they probably won't have already! As well as the amazing Bomb Cosmetics advent calendar, I also have a few others to share with you which are a little cheaper and they're currently on offer so you should check them out while they are in stock. I was very kindly sent three advent calendars from Chemist 4 U which is a site I've been lucky enough to work with previously. 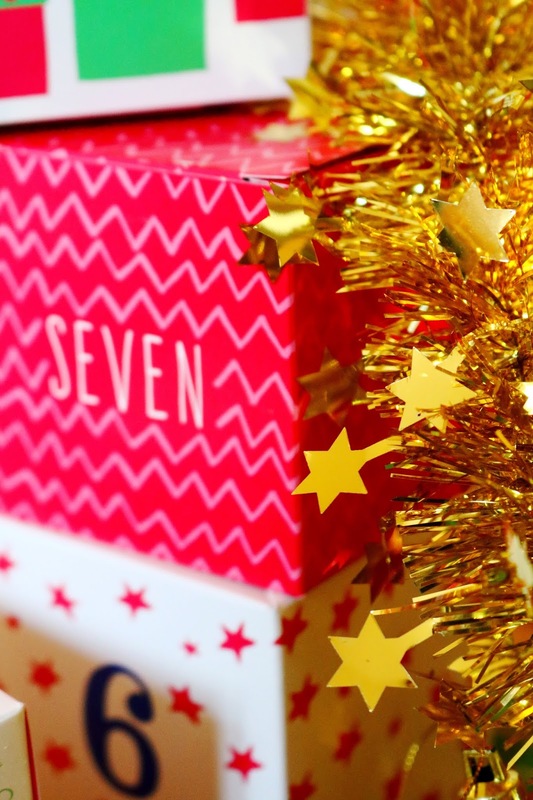 Unlike other beauty advent calendars, these three are all more much affordable! The first is the mens fragrance advent calendar which consists of 24 fragrance samples to try. They are own brand fragrances but there are so many to try, I'm sure there will be something yourself or your gift recipient will love. The idea of a fragrance sample advent calendar is just fantastic and I wish there were more of them. I love the design of this advent calendar, it looks more luxe than it actually is and it means that there will be a gift to open every day on the lead up to Christmas. 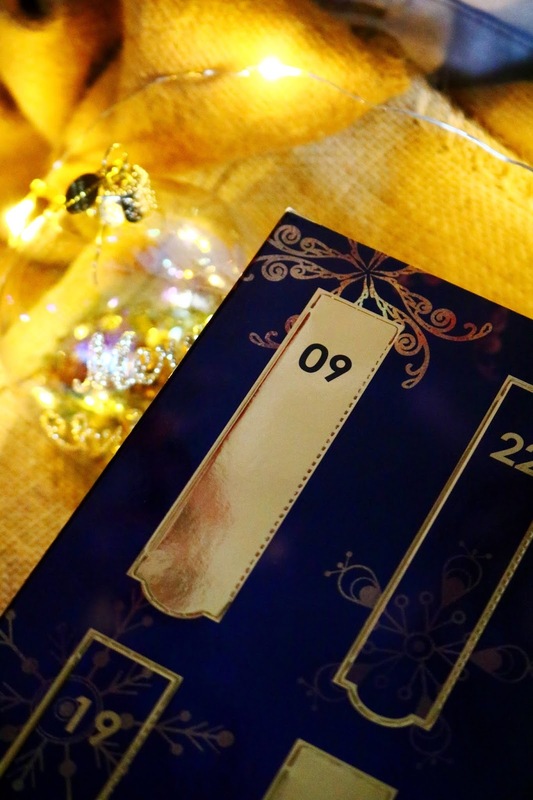 There is also a womens version of the mens fragrance advent calendar and it contains the same number of fragrances to try. Don't be put off by the non-designer fragrances as the ones I've tried so far have been really nice and great everyday, casual fragrances that are perfect sizes to add to your handbag. They'd make great affordable gifts that can be enjoyed almost every day in December! Last but not least for today's mammoth beauty gift guide is the cutest advent calendar and one that I think will be ideal for the little ones in your life or anyone who loves a nice long bath. 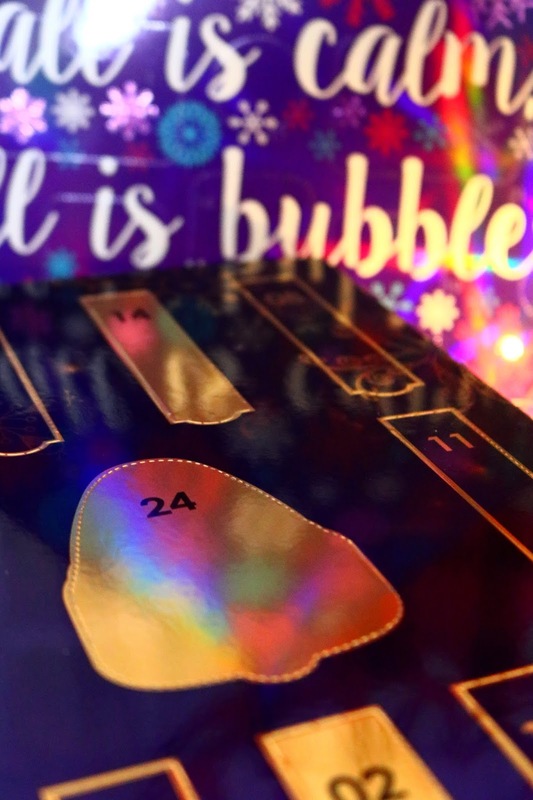 The Bubble Boutique advent calendar contains 24 days of bath products including bath salts, bath bombs, fizzers, confetti and my favourite growing up, bath pearls. The packaging for this set is so cute and colourful so it really stands out and means that every day until Christmas Eve you can enjoy a fun bath with one of the products in the calendar. I know that some of my friends and their little ones would love this adorable advent calendar. You can see the advent calendars, along with all of the other products in more detail within the video below. Chemist 4 U has a selection of other advent calendars to choose from including a cute childrens advent calendar, nail polish focused calendars and pampering product filled advent calendars, all at amazing prices. Use the code: HEATHER20 to get 20% off! Have you tried any of these products? 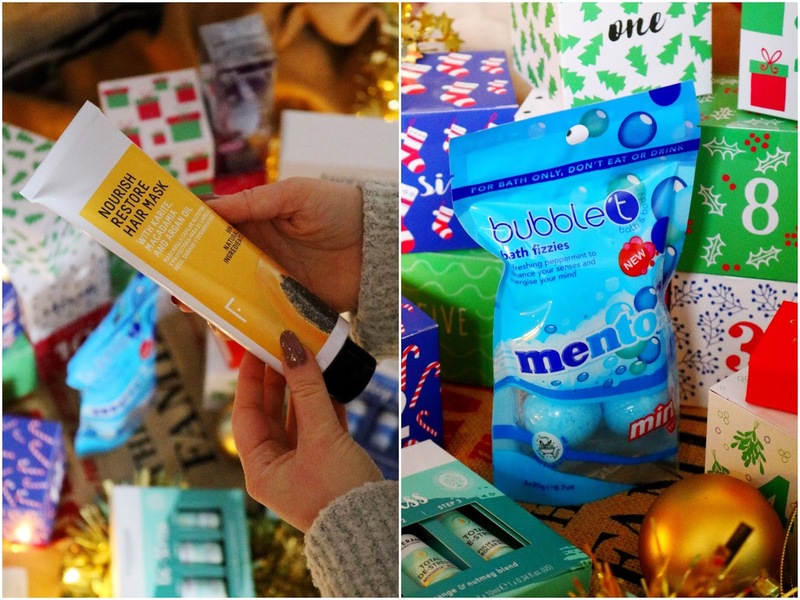 What do you think of my first big beauty gift guide of the year? So many gorgeous products right there! The advent calendar looks fab and really reasonably priced for the amount of products inside. The lead up to Christmas is definitely exciting as a blogger. 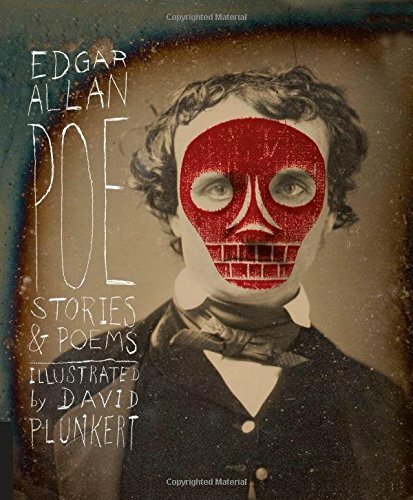 Some great products here. Those lip balms and the 3 step destress look perfect!! Aaaah wow it all looks so nice!! :D I still haven't bought an advent calendar yet - I really should! It always looks so good! awww the crazy colors spray :3 they make me wanna dye my hair again!! The idea of Christmas already is terrifying to me, I haven't even started thinking about it yet! The brush cleaner is amazing, and will make a great gift! So many great ideas, I’d love to try the brush cleaning bowl. I so want those pastel sprays!